Leap Real Estate Systems is proud to announce the debut of a new version of Leap Software- completely optimized for your mobile phone. Leap Software is already the advanced solution for streamlining your appointment scheduling and organizing your busy real estate business. Agents can benefit from decreased back-end processes and spend less time writing down appointments or notifying appropriate parties. 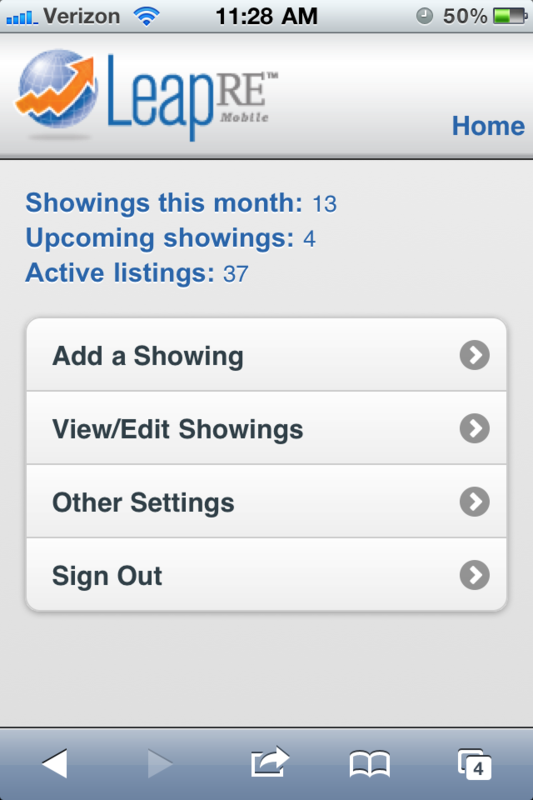 While the Scheduling site worked very well on smartphones before, the development team went extra steps to make our mobile version easier than ever, and perfect for scheduling showings on-the-go. The log in page, pictured above, is available at http://m.leapre.com. After logging in you have a scheduling screen which allows you quick access to the popular functions of the Scheduling system. The mobile site is straight forward and ready to use right now, so if you’re a current user go ahead and give it a try. If you still have yet to join the hundreds of agents using Leap solutions, learn more here. After the click there are instructions on bookmarking the mobile site as an icon for your iPhone. 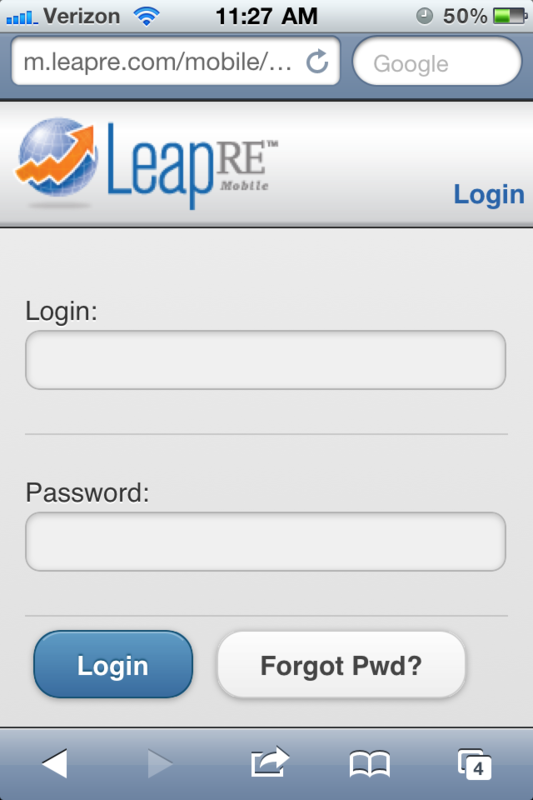 Go to http://m.leapre.com on your mobile device. Click the lower center button: 3. Click “add to home screen”: 4. This will add LeapRE to your Home Screen, making it easily accessible for scheduling on the fly. This entry was posted in General, Leap Software and tagged iphone, Leap, Leap Scheduling, Leap Software, Mobile, mobile software, smartphones. Bookmark the permalink.